Today, I reached a new ‘high’ in the world of social media. Some might even say its an ‘achievement’ that few would attain by being as outspoken as I am with my thoughts and views on the social media. What I found out today was that my thoughts which I share freely on twitter, and on Facebook to the limited audience of my friends has a ‘huge’ impact in shaping the policies that govern this country. Now who’d have thought huh? I definitely wouldn’t have. And didn’t. Until I received messages from two different individuals regarding my Facebook post that went together with the Haveeru news article on the implementation of the new job structure for doctors and just how disappointed most of them were about it. Don’t get me wrong. Doctors are all the rage and all that. And at some point or the other we all owe our wellbeing and lives to one of them brilliant people. And there are those few doctors who continue to serve the public to the best of their ability all throughout their life that earns my wholehearted appreciation and gratitude. My point of contention when it comes to doctors in this country begins with the fact that most of them just manipulate the system in place to achieve their personal financial goals in life. The government spends tons of money on their education, most of them requiring 5 to 6 years to complete their M.B.B.S and another 4 years to get specialized in an area of interest to them. And just like many of the public servants who study at the expense of the state and sign a bond agreement that they’d serve in the public sector at least for the specified duration of time, doctors too follow the majority and try and evade the system in place that SHOULD hold them accountable. What one should realize when it comes to the public service is that it is pointless working in the sector thinking you’d attain financial security of the kind the rich and elite enjoy. Public service is not about how much money you earn. Rather it is about your contribution towards the betterment of your country. Towards keeping the machine that is the government working so that the public who receive essential services from it don’t have to resort to corruption and whatnot in order to get them. And I think the quote which I will write below taken from a report of a Commission to Enquire into Matters Affecting the Integrity of the Public Service in 1955 in the Malaysian government sums my thoughts up best. I know better than most on exactly what I’m talking about when it comes to the public service. I have devoted more than 8 years of my life serving in the mechanics that govern the system. I also know the extent of corruption and mismanagement that has riddled one of the largest sectors in the public service of this country to date, a sector that has been pretty much neglected to wither and decay away on its own, regardless of the governments that have come and gone in the past couple of years. The issue that not all doctors are treated the same, of course owing to the ‘connections’ some have within the top layer of the government in place is one of the major issues faced by not just doctors but almost all public servants who come back from their studies. When the time comes to give back to the state, most of them, especially the ones who become specialized in various sub specialities tend to work in a way that maximizes their profits while the public who needs their service are practically leeched dry from the private clinics where these doctors see the maximum number of patients. I’ve heard this tale many a time. 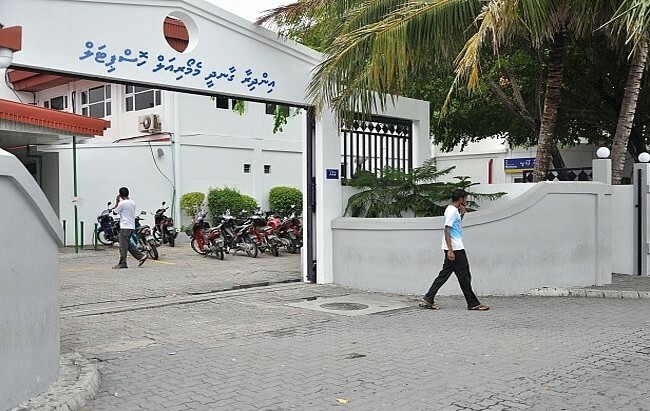 It is impossible to get an appointment at IGMH, it is impossible to get the medicines required under the health insurance scheme ‘Aasandha’ etc. Nasheed’s government tried to implement the health insurance policy for everyone which ‘guaranteed’ that no one would have to pay out of their own pockets for medical expenses. Turned out that the National Social Protection Agency couldn’t keep up with the payments and one by one most of the private clinics that sees the bulk of patients visiting specialist doctors dropped out of the scheme rendering Aasandha mostly ineffective, unless you’re willing to wait around for more than a week to see your doctor at the government hospital. My ire arises from this. I’ve heard from many within the sector, just how notoriously some of these specialists work the system so that they see only around 5-10 patients at the hospital during their O.P.D hours and then go on to see 20 or so patients at the clinics from whom they charge an amount equivalent to MVR 300.00 from most clinics. And specialists like those in cardiology, the last time I took my father in law to see one, I was charged MVR 400.00 to see him. That is bloody expensive when you take into account just how much of a hand to mouth existence most people live in. If doctors cannot survive with their take home pays higher than most public servants except of course the parliament who are in a league of their own, what are those who receive a take home pay of mostly MVR 5,000.00 to do to survive? Are they to wait eons in a queue to see a specialist doctor at the hospital while their ailment continues to escalate and bother them because doctors just don’t have enough time to see patients at the hospital in which they are supposed to serve when they come back from their studies? If everyone suddenly gives up on the country saying that nothing will ever be put to rights here, who on earth is going to come and put our affairs in order? Who can we count on but ourselves to know the flaws in our systems and propose ways to correct them and try and try even though it seems like a fight we’d never win? Sometimes I wonder whether investing in foreign doctors would yield better service for the people than investing in educating Maldivians who at best are so far removed from their ability to empathize, that most of them hardly care about their patients much less the system that does everyone wrong. What tickled my funny bone today is the fact that apparently one of my Facebook ‘friends’ thought my posts on the issue, which I have to say were quite a few, were found to be ‘important’ enough to be discussed at a meeting held at the health ministry regarding the doctor’s new job structure. Rather than focus on the issue at hand, I bet now I have a “Hate” club of doctors who would practically find ways to murder me if they could get away with it. My Facebook just like all my other social networking accounts, is my own. The opinions I express there are solely mine, they don’t in anyway reflect the place I work at nor can they impose their values and views on me. In other words, the Civil Service Commission doesn’t do my thinking for me. I’m not that senile yet, to not be able to think on my own. My parents spent a ton of money on my education just so that I’d turn into someone who doesn’t require anyone else to spoon feed thoughts and brainwash me into submission. The fact that a fellow doctor went and blasted at my elder sister who herself is one, because of my opinions, shows just how professional a doctor the person is. If the ego in some of these doctors in the system lets them entertain the opinion that Maldivian doctors are such a special and privileged bunch, I have as much right to hold an opinion that veers in the opposite direction. What today’s actions prove is that I did hit somewhere it hurts when I said that most doctors of this country are not in sector to serve the public but rather themselves. The point is that most people in this country just don’t bother commenting on any of the stuff that happens in this society because, either they have their connections that will see them through a tight spot, or they are just so fed up of the system that never changes regardless. I guess I always end up being the person who expresses the opinions held by many, which most just don’t want to come out with. And to whoever it was that took screenshots of my Facebook statuses on the issue regarding the Maldivian doctors community, please do the needful and share this too so that you’d all have something to be righteously indignant about in the next meeting. And on that note, thank you for making me feel so important. You have no idea just how wonderfully wrong you are in assuming I have anything to do at the policy level where I work. Next time, get your facts straight before giving attitude to my family. If you have something to say, you’re most welcome to share your thoughts on your own accounts and even here by commenting if you may. And in the meantime, don’t kill anyone.